The second annual Creative China Festival (CCF) that takes place from September 2018 to March 2019 in several large cities in the US has become an exclusive cultural show that aims to showcase Chinese artists' observations and attitudes toward the world and culture. Organized by the Beijing Contemporary Art Foundation (BCAF) and Creative China Center (CCC) in New York, and supported by the Chinese Ministry of Culture and Tourism, CCF is committed to becoming a platform to nurture innovative creators and foster in-depth collaborations between China and the US in the fields of contemporary arts and culture. With 18 months of preparation for the festival, BCAF has now worked with over 40 prominent institutions and organizations to curate, organize, and promote more than 80 events during the festival. 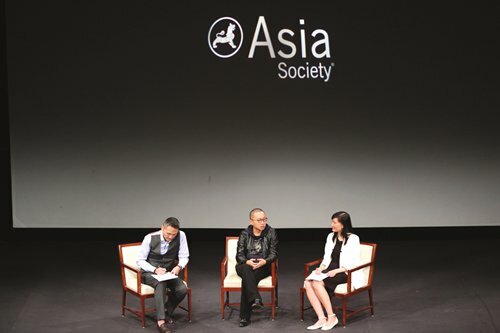 Throughout the festival, governments, cultural institutions, and businesses will jointly explore ways of fostering multi-layered cooperation in public culture and in the creative industries. With the theme "China Now! New Era," CCF shares the influential and dynamic works of Chinese contemporary arts and culture through forms including discussions, films, dances, theater, music, design, art, youth programs, artist talks, workshops, fellowships, family programs, US arts delegations to China, and arts study tours. In addition to the two key areas of films and discussions, CCF 2018 launches new initiatives for dance, theater, and youth programs. iQIYI will also share their vision with their American counterparts during the festival. The collaborating institutions include the Metropolitan Museum of Art, the Film Society of the Lincoln Center, the Asian Cultural Council, and the Harvard Film Archive.